If there’s one room in your house that you should splurge on, it should be your master bedroom. Think about it: you spend roughly one third of your life in there. It should be a be a place that makes you feel like the amazing person you are. Here’s the cool part: you don’t need to redo your entire bedroom to add a bit of luxury to your life. All you really need is a few great pieces of furniture. Here are 26 amazing bedrooms you can use as inspiration! This master bedroom set is made of wood painted whited. The wardrobe looks like it could have stepped out of a fantasy room, and the bed is simply a wonderful piece. This look will make your master bedroom the envy of all your friends. This large bed frame with scroll work could have come right out of the pages of a history book. The scrolls in the head board simply captivate and create a fun pattern to admire when not having fun with your significant other. Anyone who loves the tails of mermaids, oysters, and pearls, this is the bed for you. The white bed resembles a clam shell, and boy does it look amazing. There’s even a pearl-shaped lamp to continue the illusion. Based off the four poster beds of royalty and of the luxury of the upper classes in centuries past, this bed can make any couple feel like the king and queen of their home – just as they should be. With the ability to add a canopy, it’ll really get them feeling like a king and queen. This antique dressing table takes its inspiration from the 1950s and 1960s. With a mirror attached to the table, and a matching stool, this vanity is perfect for any lover of older furniture. Another luxury vanity, this piece has a large circular mirror. The rich red hue of the vanity brings to mind times of when royalty would get ready aided by their servants and hand maidens. The stool adds a hint of mystery to the setting, and would make anyone jealous. With a regal dresser, this luxury idea can make everyone feel as if they are the ruler of the home. This white dresser has a wide, large mirror and seven drawers. That’s plenty of space for the most important things. No closet is ever big enough, is it? Add space with a luxury wardrobe. With a large array of drawer and hanger space, there is enough room to add this to any room. With three drawers, this elegant little nightstand offers a place for the best things. When you need a book to read, a light, or something else in the bed, this is what you need. Mirrors are always seen as a sign of luxury. For a while, the only way to have a mirror was to be in the upper class. With this mirrored nightstand, the rule is no longer true. Watch everything crawl around and everyone dance around in the room, right from your bed. This large canopy bed allows everyone to feel as if they are a royal person. As if they are someone of importance, even if there is something lacking in the social life. A canopy allows for privacy in the bedroom, even with guests. A changing screen used to be the hallmark of a luxury bedroom. This white changing screen is a fun throwback to the ideal room of the 1700s for a person in the upper class. While clothing, beds, and all of that is worth looking into, your jewelry also needs a home. With so many drawers to hold the best pieces of your collection, there is little to argue about with this. And it locks! While mosquito netting may not sound that luxurious, it can be quite luxurious indeed. However, the bed itself is amazing, and if you keep windows open at night, the netting can keep the bugs away from you. While white is a beautiful color, blue is as well. 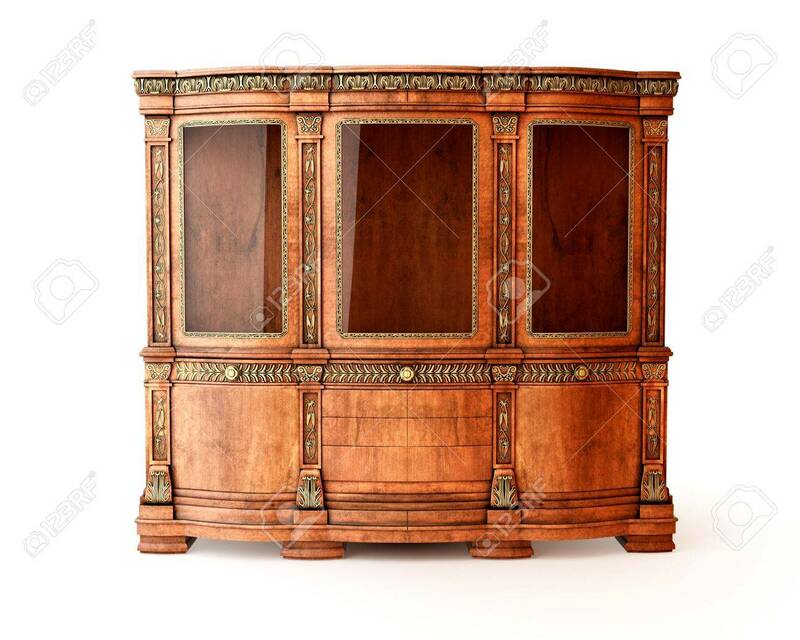 This canopy bed has a large, ornate holder for the canopy to rest in, and will look beautiful. Back to white. 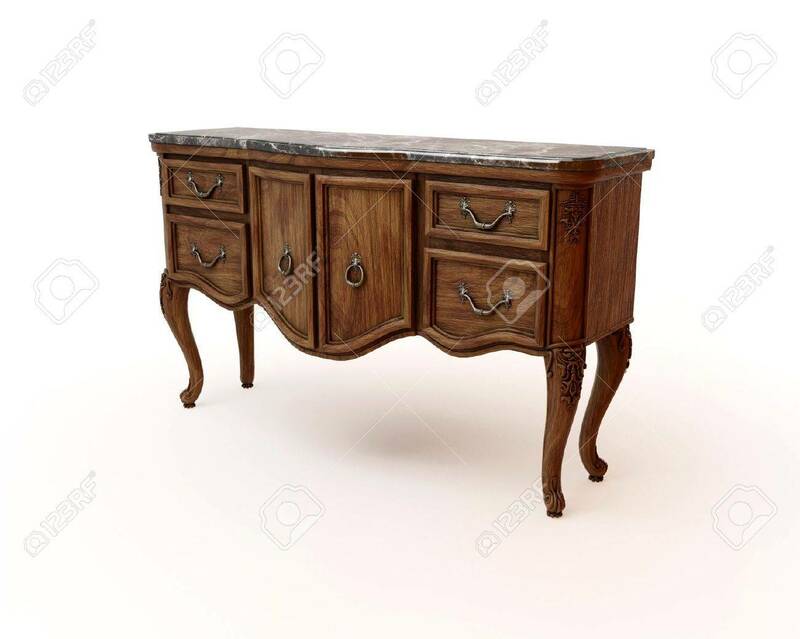 This dresser has an underlying golden tone to the color, and has a unique look for a luxury dresser. Dark wood is also quite a luxury for some. 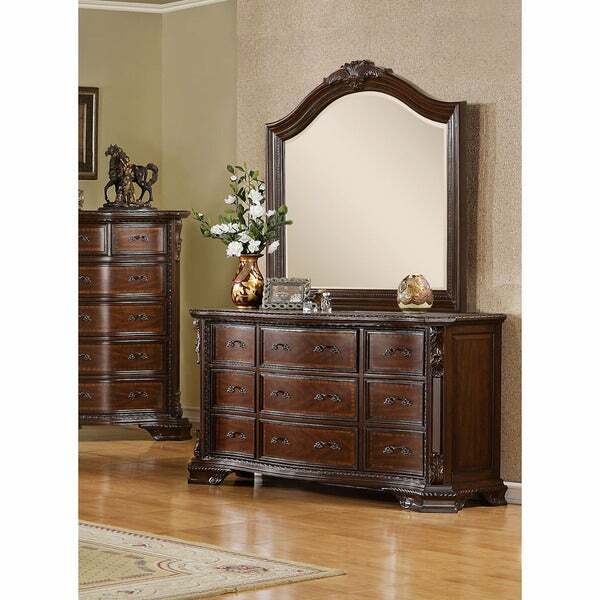 This large dresser, with mirror, is a beautiful piece for anyone. It will keep everyone guessing where you got it. For anyone who loves pink, this white dresser is for you. There are hints of pink, and it looks as if there was someone from the 1700s in the home. It’s a beautiful piece, of course. A large head board is sometimes better than a smaller one. While you can hit your head, it’s super beautiful and most these days are padded. With a gold frame and off white fabric, it’ll match just about everything. This simple dresser has four drawers, and a small cabinet. There is so much that can be done with it, and the elegant design is quite luxurious. Mirrors are super cool. 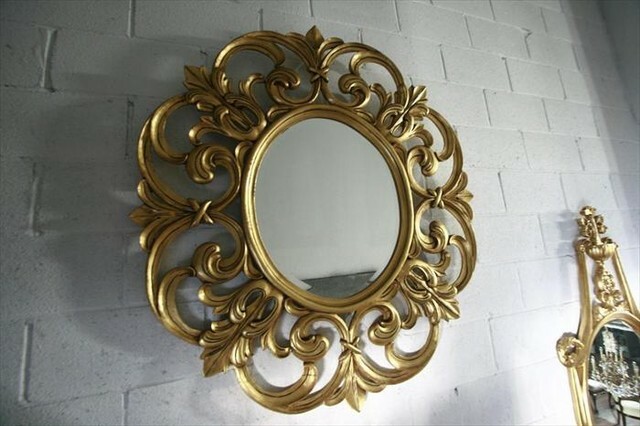 Having one with an ornate design and golden ring around the mirror itself is something that can be considered quite luxurious. A rectangular mirror is also quite a luxury. 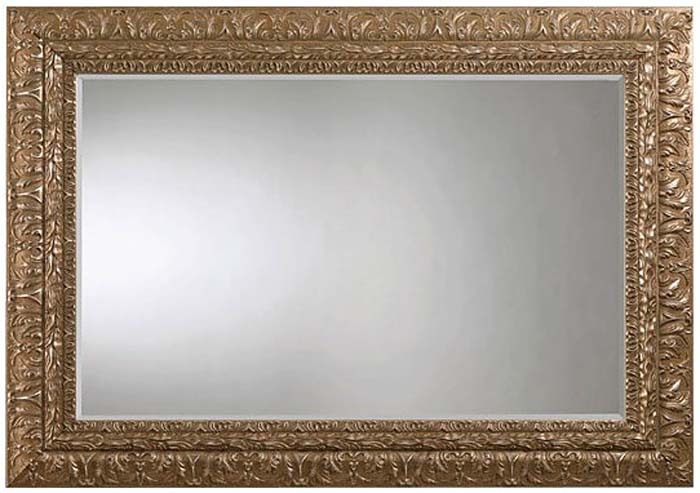 With the ability to see so much, there is nothing that could be better than a rectangular mirror with a golden frame around it. 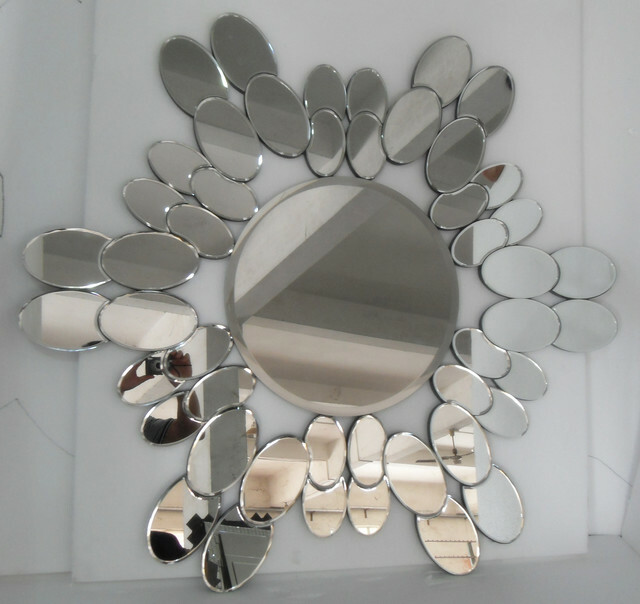 This large mirror has a star design of mirrors around it. Though it is at the cheaper end of luxury (about $150 for a single mirror), it is worth the money.